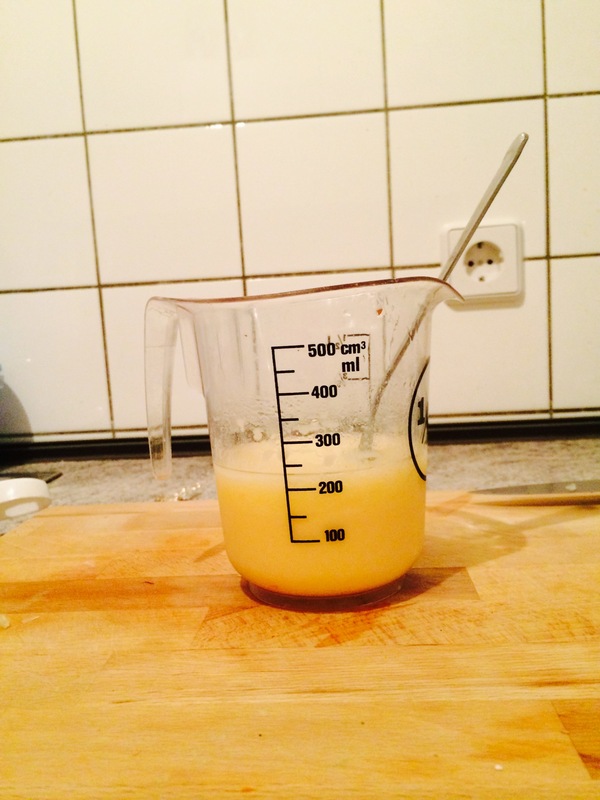 I am back with a new recipe. It is not the most attractive of dishes, but it sure is tasty. My pictures certainly don’t do it any justice and I probably have killed the traditional recipe with my take on it. Right, I think that is all the disclaimers I need to state before setting this mouth-watering dish upon you. 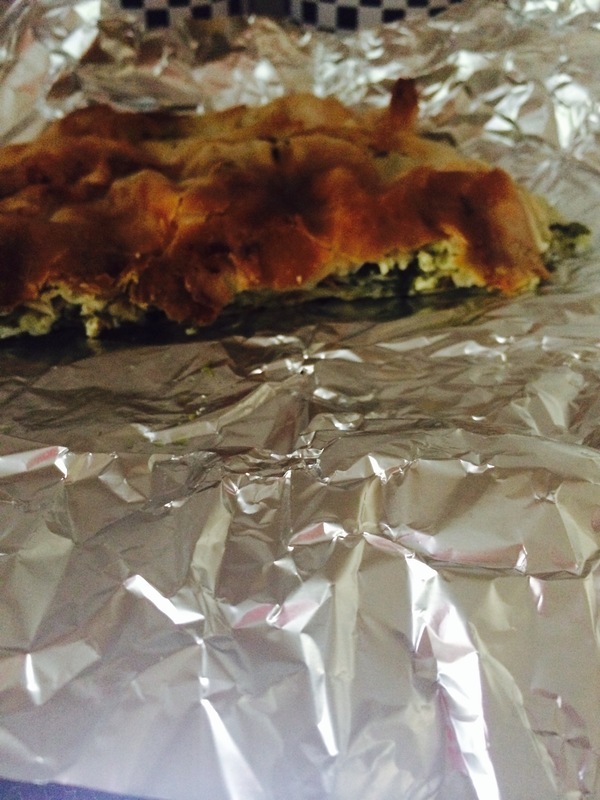 Some people call it ‘börek’ while others call it ‘spanakopita’. I guess it depends on what country you are from or where you first sampled it. 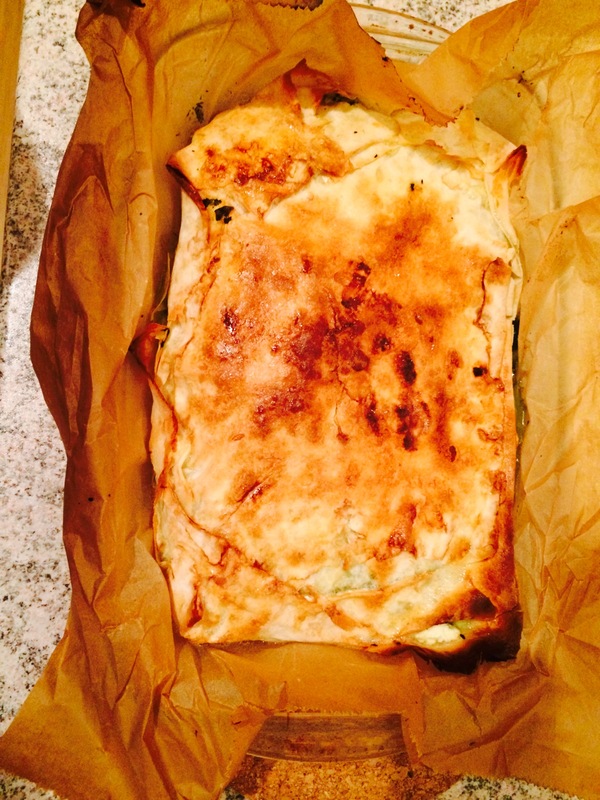 For the sake of political correctness, I call it ‘the delicious spinach and pastry dish’. First things first if you want to prepare the ‘the delicious spinach and pastry dish’, you have got to get to the supermarket and get yourself some ingredients. The pastry sheets I always use are the ones below but brand really is a relative thing. The rest of my ingredients I have bunched into the photograph below. 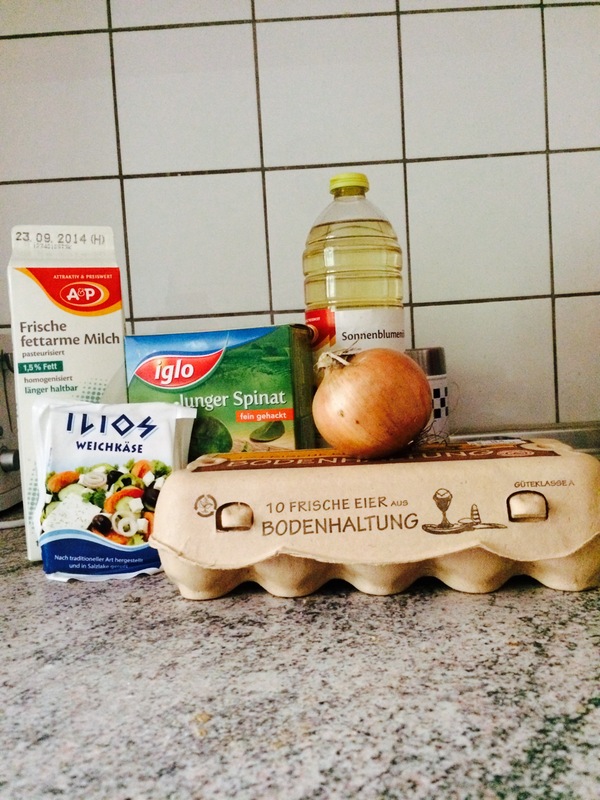 In this case, olive oil (or similar) can be used instead of sunflower oil, feta can be used in place of ‘weichkäse’ (soft cheese) and fresh spinach can be used rather than frozen. I sometimes use these ingredients instead but what you see below are what were available to me when I was cooking. 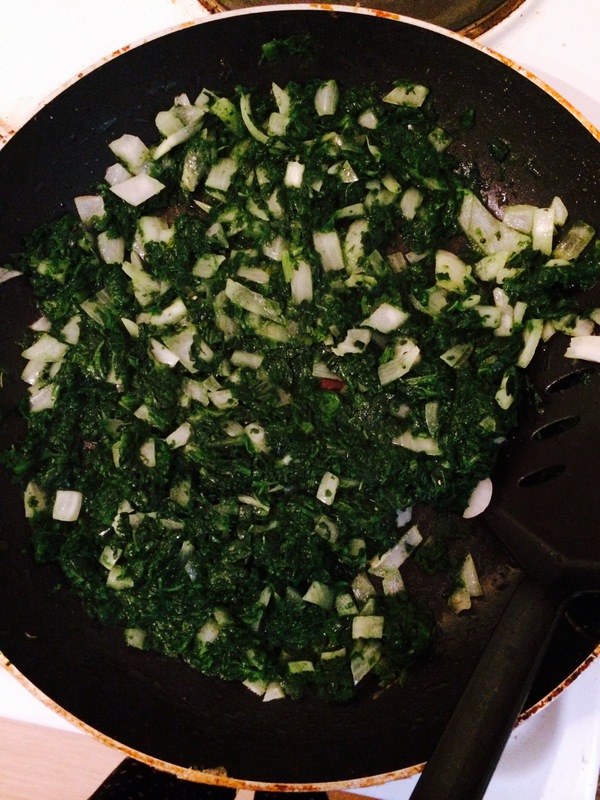 Heat a tablespoon of oil in a frying pan and add the chopped onion and spinach. Cook until the onion is slightly brown and the spinach has wilted/defrosted. While you are cooking your spinach/onion concoction, mix 50 millilitres of oil, 2 eggs and approximately 100 millilitres of milk in a jug. 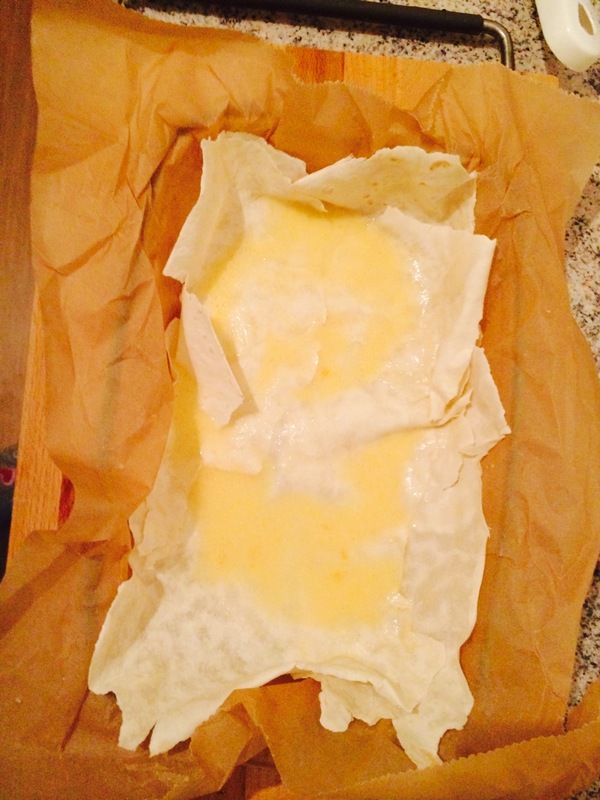 Line your baking dish with baking paper and put two sheets of pastry in. 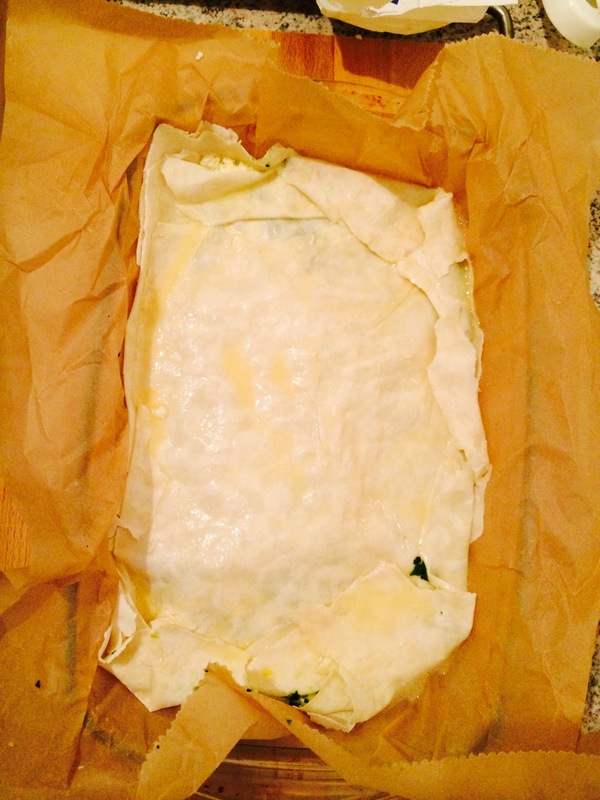 Pour enough of your oil/milk/egg mixture over the pastry sheets until they are covered and moist. 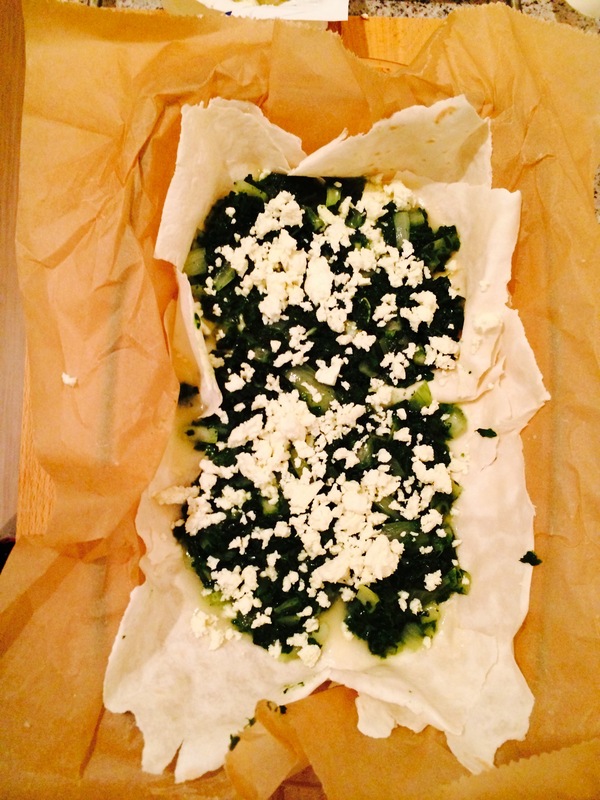 Evenly spread some of your spinach/onion mixture over the pastry sheets and crumble as much cheese as you desire over it. Repeat the above steps from the placement of the pastry sheets to the crumbling of the cheese as many times as you please. I usually have two tiers of the filling. When you have enough tiers of filling, place 2 more pastry sheets on top and pour some more of your oil/milk/egg mixture on top. Any bits of pastry sticking out over the edge of the baking dish can be folded down and sealed with your oil/milk/egg mixture. Place the dish in an oven heated to 200 degrees Celsius and cook until the top is a golden brown colour (approximately 25 minutes). Once it is cooked to your liking, take it out, leave it stand for a few minutes and serve! I love making this dish. 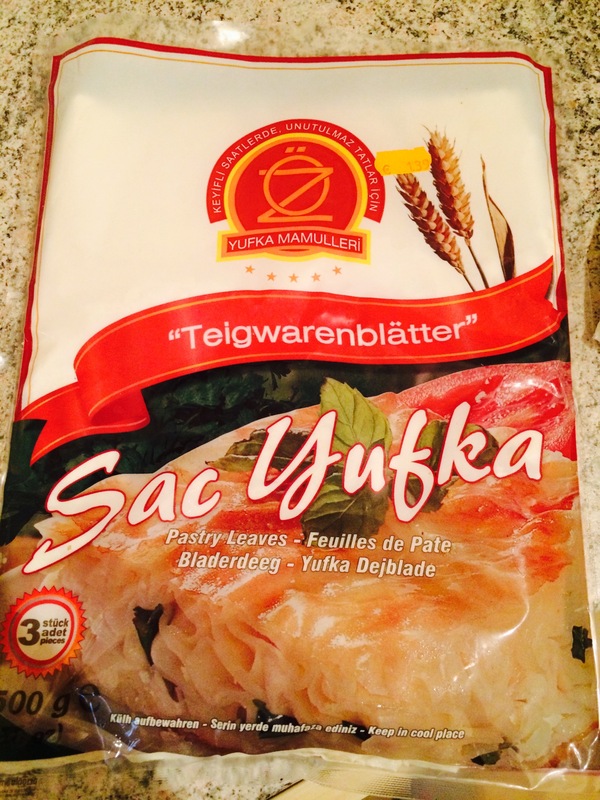 It is super easy and can be reheated for lunch and even dinner again the next day. If you do decide to make this dish, I hope you enjoy it as much as I do. Let me know in the comments below! Cheesy Beer dip, you have me intrigued! Have you got a recipe?